The South African Breweries (SAB) and AB InBev Africa are giving consumers more choice and a smarter drinking option with the introduction of the first alcohol-free beer to be brewed in South Africa. Castle Free, an extension of Castle Lager, offers consumers a real beer taste without the alcohol. The launch of Castle Free, a no-alcohol beer, delivers on SAB and AB InBev’s Public Interest Commitments made to the South African government during the business combination process at the end of 2016 to introduce initiatives that reduce the harmful use of alcohol in South Africa. 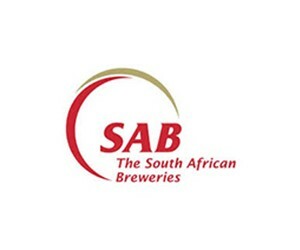 SAB and AB InBev committed to introduce and promote new no- and lower-alcohol products to the South African market to encourage consumers to make lower-alcohol choices, including by brewing these products in South Africa. SAB and AB InBev have made a substantial investment of more than R30-million to develop and brew Castle Free in South Africa. This commitment is driven by AB InBev’s Global Smart Drinking Goals aimed at fostering a culture of smart drinking amongst consumers and reducing the harmful use of alcohol. For example, AB InBev has committed to ensuring that no- and lower-alcohol beer products represent at least 20% of the organisation’s global beer volume by the end of 2025. Additionally, through our Global Smart Drinking Goals, SAB and AB InBev is making a deeper investment in evidence-based initiatives that measurably shift social norms and behaviours to reduce the harmful use of alcohol. We have committed to invest 1 billion dollars across the world by 2025 to promote Smart Drinking through social norms programs and innovative social marketing campaigns. “At SAB we believe that smart drinking choices affect everyone, every day and want every experience with beer to be a positive one. As part of the Smart Drinking Goals, we are helping empower consumers to make smart drinking choices by enabling access to no- and low-alcohol options, as well as robust health information about our products. Castle Free is South Africa’s first homegrown 0.0% alcohol beer and brewed with the same local ingredients as the ‘mother brand’, Castle Lager and with the same high standards. It stays true to Castle Lager’s inherent real beer credentials – a well-balanced lager without sweetness, balanced with bitterness and astringency to make it a thirst quenching beer. The brand is a beer without the alcohol and is targeted at men and women who are existing beer drinkers and who want more freedom and choice while enjoying beer without the alcohol. Castle Free is not for sale to any person under 18 years old. “As a non-alcohol beer, Castle Free provides people with the freedom of choice while still enjoying the taste of beer. They are able to enjoy all the sociability of a beer but without the alcohol. Castle Free enables people to feel a sense of belonging and acceptance even when consuming an alcohol-free beer,” says Vaughan Croeser, Brand Director, Castle Lager. Castle Free also allows consumers to practice ‘pacing’ which refers to complimenting the consumption of alcohol beers with alcohol-free beers as a means of moderation. Pacing is one important component of moderate drinking. The practice of pacing allows for safer and smart drinking options. It allows for a lower intake of alcohol over longer periods allowing the body to breakdown alcohol at a steady rate, therefore less accumulation of alcohol. “We encourage pacing amongst consumers as a safer and smarter option. This is why our Smart Drinking Squad, who are tasked with helping to address the harmful use of alcohol, will be taking to the streets to educate people about pacing and to encourage its practice,” says Tadeu. Castle Free is the perfect pacing drink and can be best complimented with Castle Lager, which is why we will also introduce a Pacing pack which includes Castle Free and Castle Lager. Castle Free will officially hit shelves in trade mid-November 2017 and will be available in a limited edition 250ml sampling can, a limited edition 12-pack, a 340ml non-returnable bottle and 500ml can. It will be distributed to more than 4 800 taverns and 554 counter serve outlets. In addition, around 800 taverns across South Africa will be upgraded with Castle Free branding.